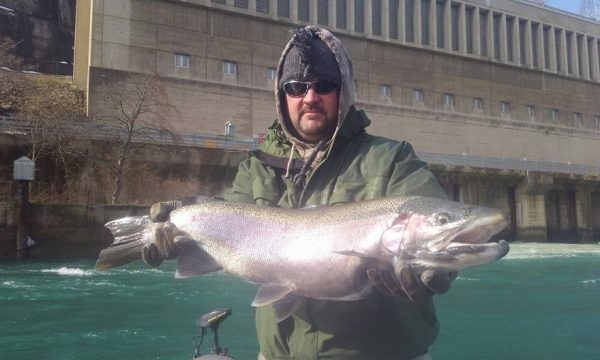 World class fishing for trophy steelhead, salmon, brown trout and lake trout. There are opportunities year round. 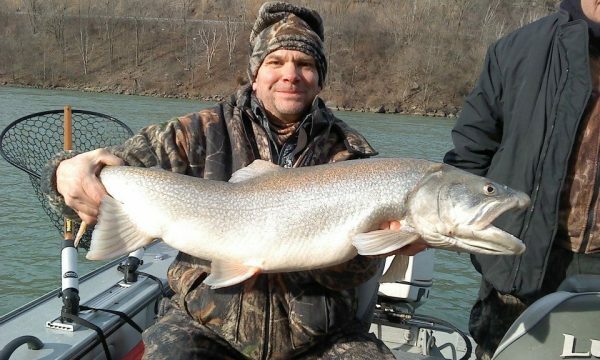 The Lower Niagara offers the premier fishery for trophy smallmouth bass and walleye in the Northeast. 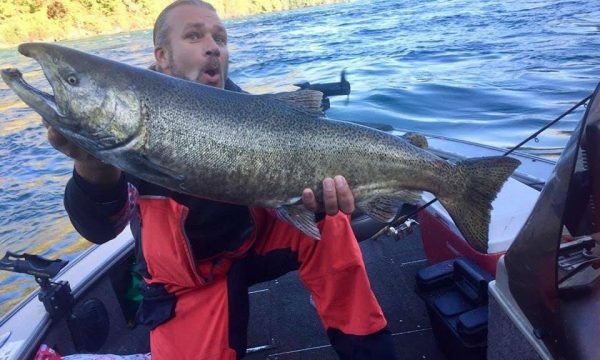 Fall King Salmon up to 35lbs. 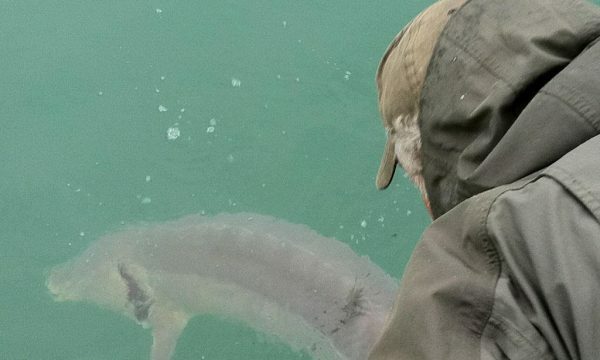 These are some of the most powerful gamefish available in North America. 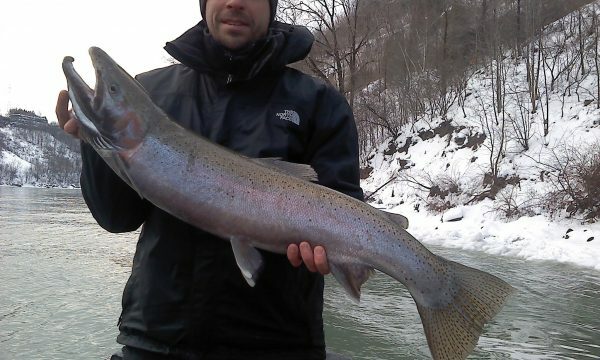 November – April: The Niagara is known as one of the best steelhead rivers in the world! 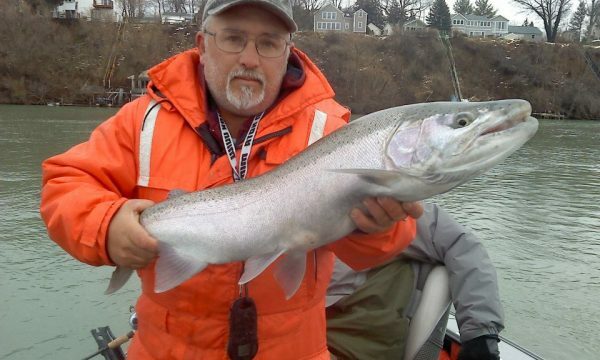 These chrome leapers are one of the most exciting fish to catch on light tackle. 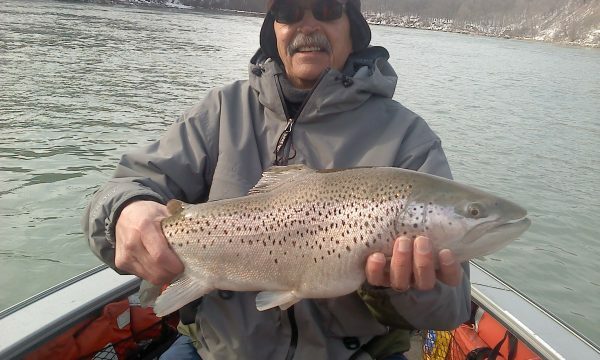 Trophy Lake Trout and Brown Trout are also plentiful. 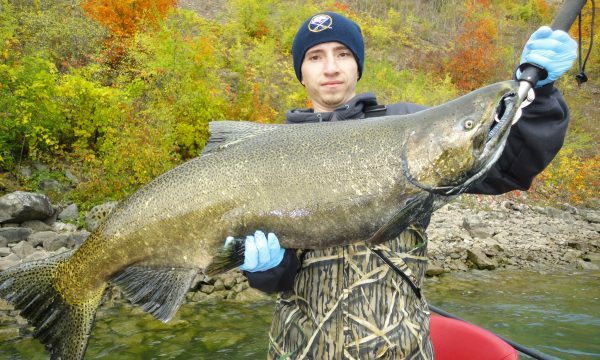 Fall King Salmon up to 35 pounds move up river to spawn. These are some of the most powerful gamefish available in North America. 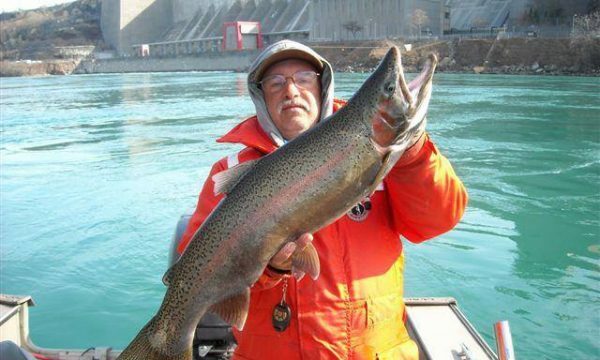 The Niagara has long been a destination for this mighty gamefish. 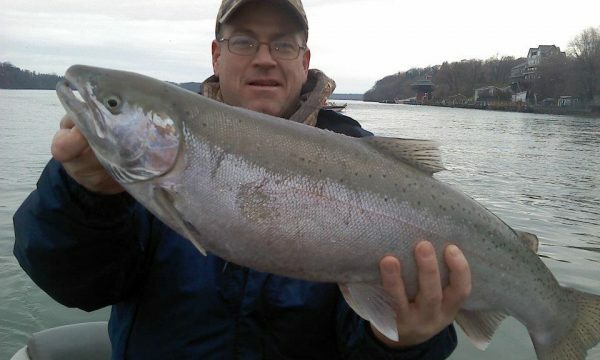 Both full day and half day trips are available during salmon season. 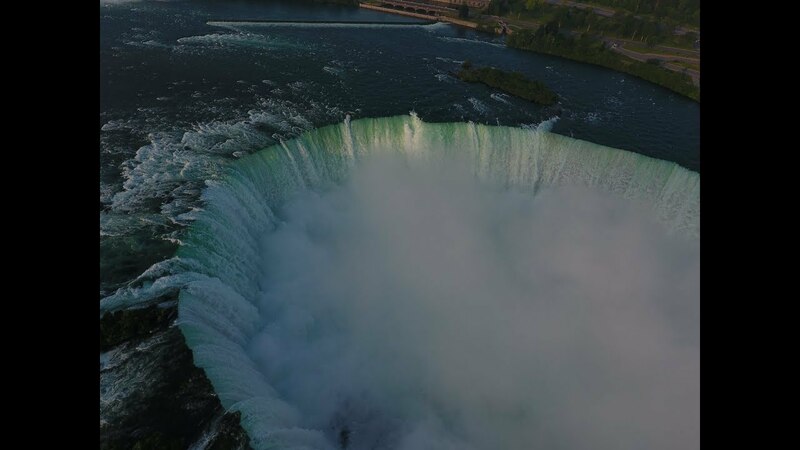 The Niagara is known as one of the best brown trout rivers in the world! These are one of the most exciting fish to catch on light tackle. 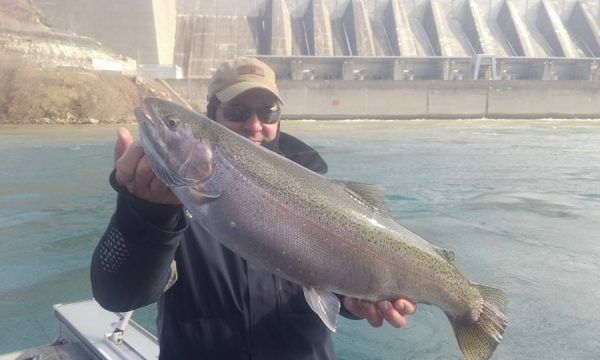 Trophy Lake Trout and steelhead are also plentiful. 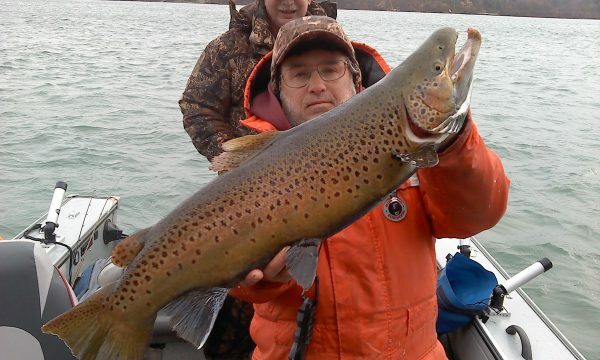 We consistently catch browns fifteen to twenty pounds. 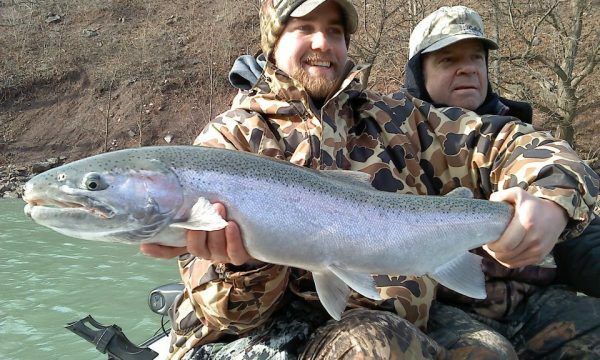 From March thru May, this area is one of the most AMAZING fisheries you have ever seen! 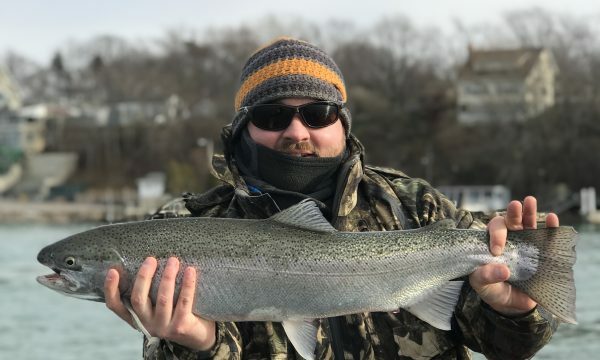 In New York State waters of Lake Erie we have a special trophy Bass season before the regular season opens on the 3rd Saturday in June. During this time it is not uncommon to catch many bass in the 4-5 lb range. As it is a trophy season, you may only keep one Smallmouth Bass over 20 inches (approx. 5 lbs). This is also a great time to fish for Yellow Perch. The Yellow Perch in this area of Lake Erie are both numerous and huge…. with many in the 12-15 inch range. Unlike most Bass, Walleye and Perch charters on Lake Erie, we clean and package your perch at no extra charge! During this time it is not uncommon to catch many bass in the 4-5 lb range. 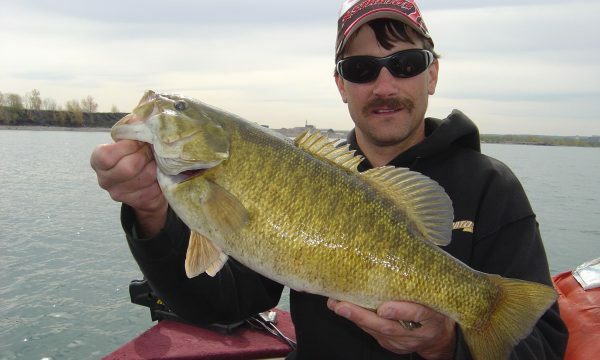 As it is a trophy season, you may only keep one Smallmouth Bass over 20 inches (approx. 5 lbs) but we encourage catch and release. 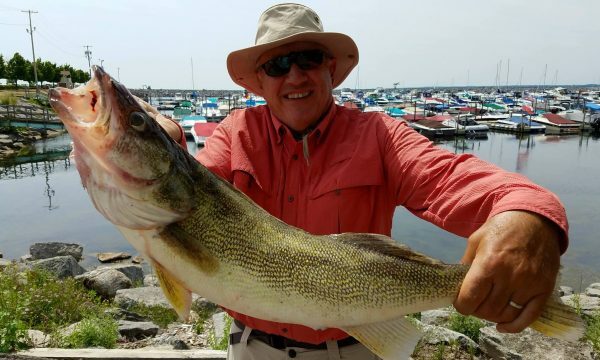 Walleye fishing in Lake Erie is not a secret. 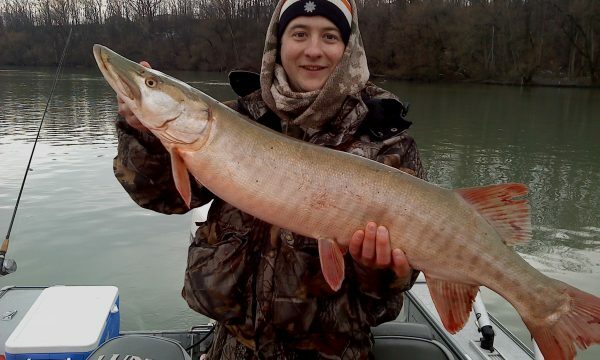 Huge fish, massive schools and constant hookups are the norm. 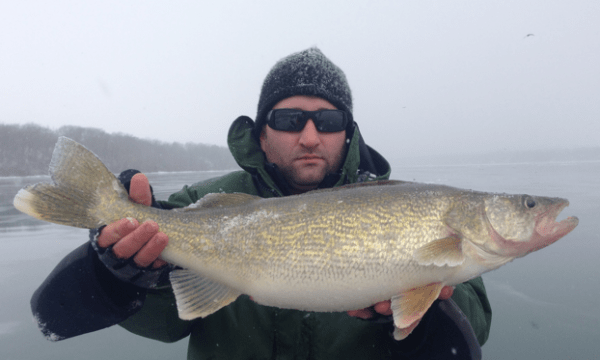 Fishing for walleye on Lake Erie and the lower Niagara River is not a secret and for good reason. 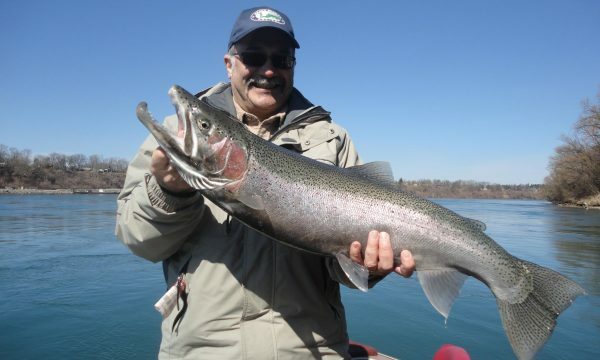 Captain John V. DeLorenzo has been running charters full time on the Niagara River Lake Ontario and Lake Erie for over 25 years. 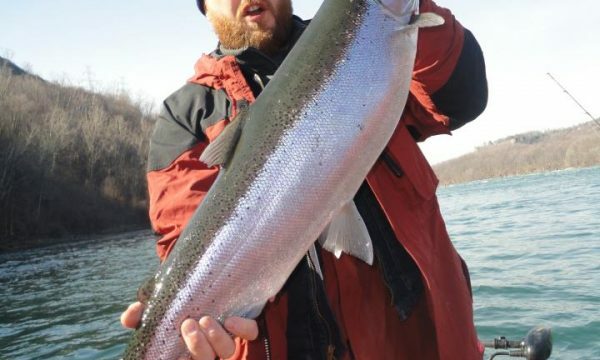 His guide service has been featured on National TV with Babe Winkelman, Orlando Wilson, and Bob McGuire as well as appearing in virtually every large outdoor magazine including Outdoor life, Sports Afield, In Fisherman, and Field and Stream. His guides are all carefully chosen and are US coast guard licensed and inspected, and are fully insured.